As the 11th season of IPL progresses Bangalore Royal Challengers Captain Virat Kohli is holding the orange cap for most runs scored. Indian Captain has scored 201 runs from four matches. 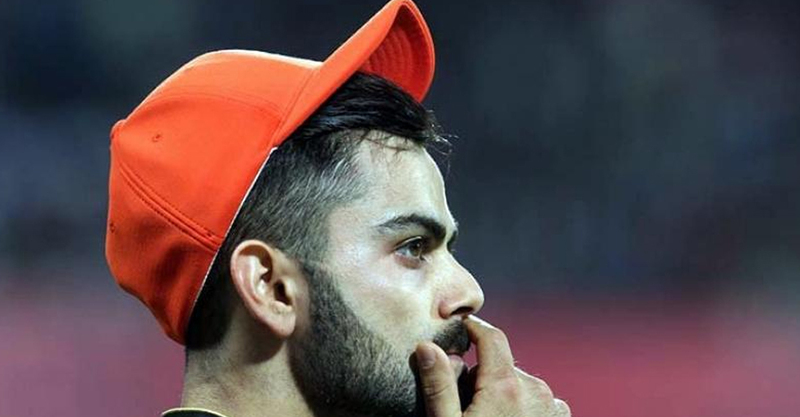 But kohli denied orange cap saying he doesn’t need the cap when his team is trailing behind. RCB has lost three of the four matches. “It was a good game of cricket as far as Mumbai were concerned. I don’t feel like wearing this (orange cap) right now because it really doesn’t matter. We got off to a great start but we just threw it away, and need to reflect on our dismissals,” Kohli said after the match. The reaction of Kohli came after his team lost to Mumbai Indians for 46 runs. In the last match against Mumbai Kohli scored 92 runs off 62 balls, but team failed to gain three points.